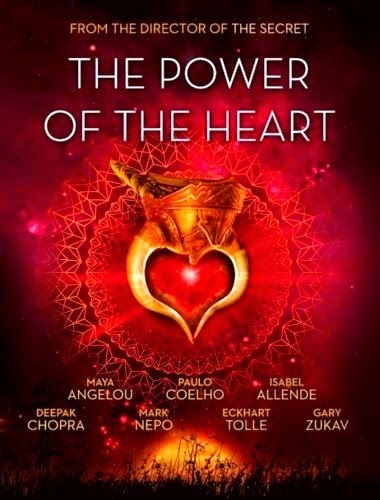 "﻿The Power of the Heart"
Paulo Coelho, Maya Angelou, Eckhart Tolle, Isabel Allende, Mark Nepo, Deepak Chopra, Marianne Williamson, Neale Donald Walsch, Gary Zukav, Jane Goodall, Michael Beckwith, John Gray, Marci Shimoff, Immaculee Llibagiza. The Power of the Heart - which ties into a book of the same name - presents fascinating evidence that your heart is much more than a physical organ and that it can actually transform your views of money,health, relationships, and success. The Power of the Heart is an experience that will lead you to uncover... and rediscover... the treasure in your chest. ...efter filmen blir det en kort fika paus och diskussion om filmens innehåll utifrån ett filosofiskt , esoteriskt och mänskligt perspektiv.